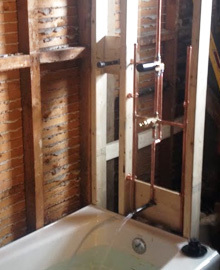 South Shore emergency plumbing & heating specializing in gas. 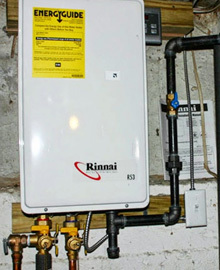 Relocate water lines and gas pipes in and around your property. 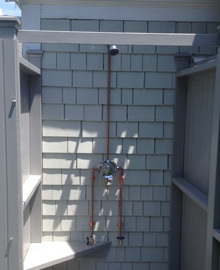 Outdoor shower installation for your outdoor retreat or rinse by the pool. 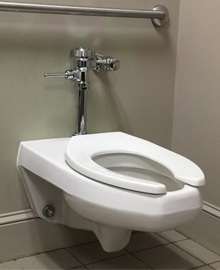 Whether it's fixing an overflowing toilet, repairing leaking pipes, unclogging drains, installing sinks, repairing showers, garbage disposals, or installing a new water heater, all work is satisfaction guarantee! 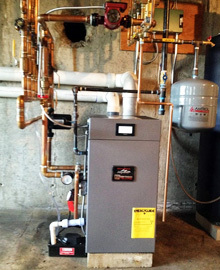 The new generation of our gas condensing boilers are designed to recover heat energy . New client promotion - Check Back Soon.